A Christmas Carol Being a Ghost Story of Christmas by Charles Dickens With Dickens' famous words, Merry Christmas, everyone "Bah " said Scrooge. "Humbug " unfolds a tale that renews the joy that is Christmas. 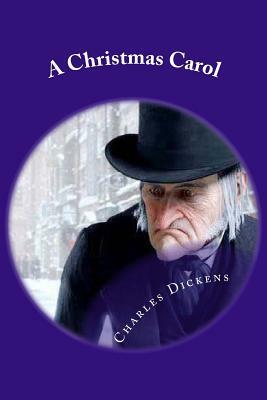 Regardless of whether you read it out loud with your family and friends, or open the pages on a chill winter night to savor the story in isolation, Charles Dickens' A Christmas Carol can make for a wonderful holiday experience. It is the one book that will always warm your heart with memories of Ebenezer Scrooge, Tiny Tim, Bob Cratchit, and the Ghosts of Christmas Past, Present, and Future - and will remind us with laughter and tears that true Christmas spirit originates from giving with love. We are delighted to publish this classic book as part of our extensive Classic Library collection. Many of the books in our collection have been out of print for decades, and therefore have not been accessible to the general public. The aim of our publishing program is to facilitate rapid access to this vast reservoir of literature, and our view is that this is a significant literary work, which deserves to be brought back into print after many decades. The contents of the vast majority of titles in the Classic Library have been scanned from the original works. To ensure a high quality product, each title has been meticulously hand curated by our staff. Our philosophy has been guided by a desire to provide the reader with a book that is as close as possible to ownership of the original work. We hope that you will enjoy this wonderful classic work, and that for you it becomes an enriching experience.